KATHMANDU, June 22: The government with a two-thirds majority in parliament is likely to miss another deadline to endorse four bills to replace ordinances issued six month ago. As the constitutional deadline for getting endorsed the replacement bills through both houses of the parliament is just 16 days away, the government is yet to register three bills at parliament. Two weeks before the deadline, the government registered just one bill in parliament for endorsement on Thursday. The Ministry of Law, Justice and Parliamentary Affairs registered the bill to replace National Assembly Election Ordinance at the parliament secretariat on Thursday. The remaining three bills to replace the ordinances related to Medical Education and Truth and Reconciliation and Enforced Disappeared Persons for the second time and ordinance on the provision of perks and benefits of the office bearers of the federal parliament are yet to reach parliament. After failing to endorse the three bills related to National Assembly election, TRC and CIEDP tenure and medical education, President Bidya Bhandari had re-issued the three bills at the end of April. 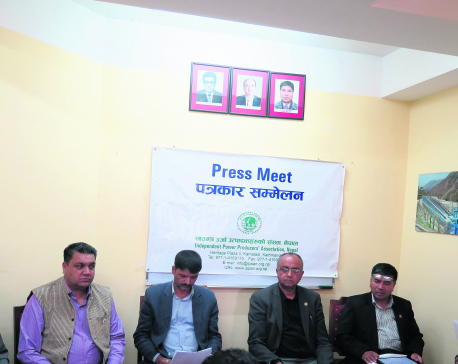 Law Minister Sher Bahadur Tamang said that the bill related to the provision of perks and benefits of the office bearers of parliament will be registered at the parliament secretariat soon but his ministry is yet to give final touches to the other two bills. “All replacement bills will be endorsed through the fast track process within the deadline,” Tamang told Republica. Despite having a two-thirds majority in parliament, the government has failed to get endorsed important laws through parliament on time. According to the constitution, the ordinances will be automatically invalid if their replacement bills are not endorsed by the House within 60 days of their issue from the president or commencement of the House session. The ordinances were issued for the first time earlier this year after the government failed to endorse it from the House following a row between the ruling and opposition parties. After the government missed the deadline to replace the ordinance within two months after the commencement of federal parliament session, the president had to re-issue the ordinance in April to avoid a legal void. The last meeting of parliament had failed to endorse the National Assembly related bill after the then ruling Nepali Congress and main opposition CPN-UML differed on the single transferable vote system. NC had favored the transferable voting system while the communist party was against the idea. However, the communist party-led government has again registered the bill with the provision of single transferable vote system against its own past position.